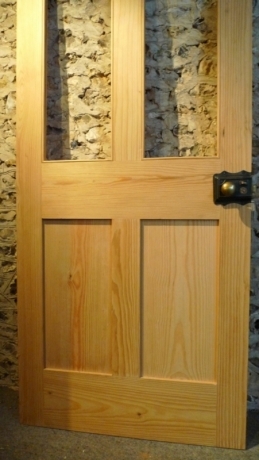 Half glaze 4 Panel Interior Southern yellow Pine Door. 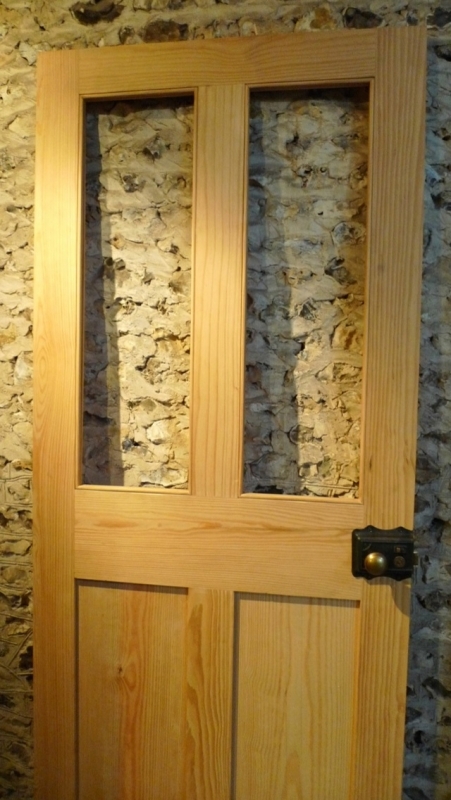 using a strong mortice and tenon construction . 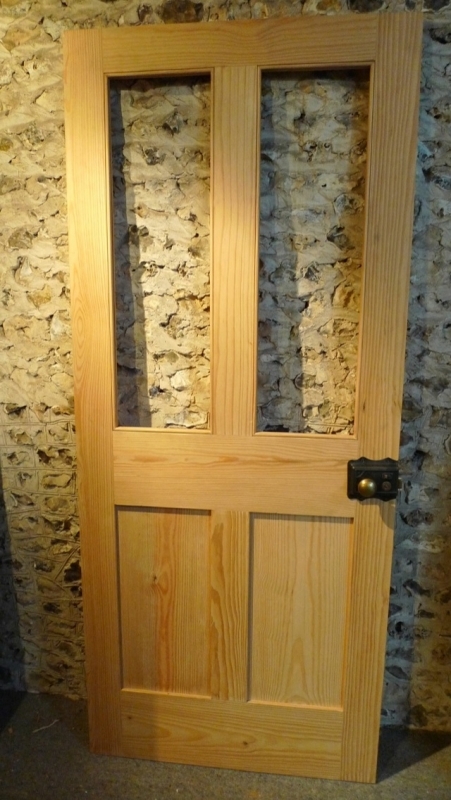 We have copied a period antique reclaimed door incorporating the Victorian era sense of proportion, such as the wide mid, bottom and side rails. These doors have been sanded and are ready for waxing/staining or painting . Bespoke sizes available , please contact us with your requirements . please add 25% for bespoke costs . This door is shown with a lock for display purposes ,locks are available to purchase seperately . 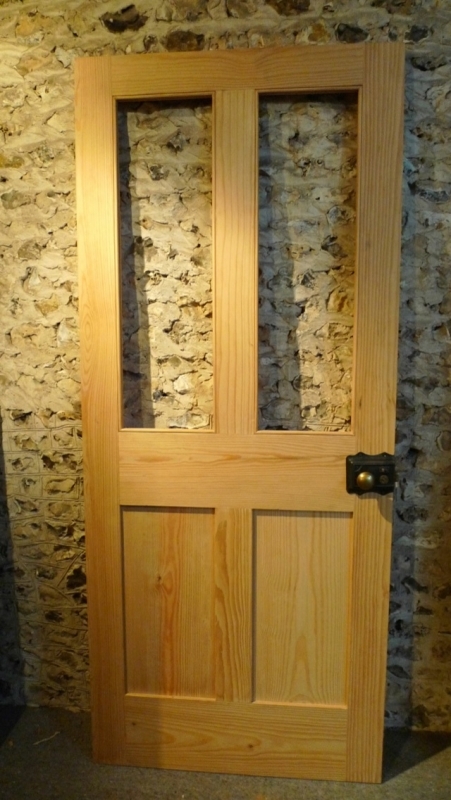 Please Feel Free to Call And Discuss your requirements on 01730 828444 or complete our short contact form.